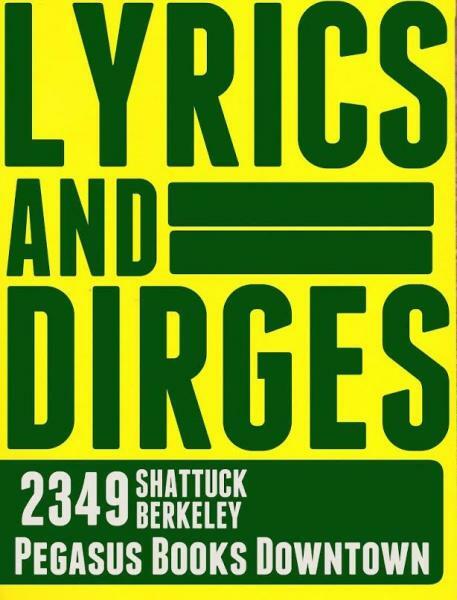 Lyrics & Dirges is a monthly reading series that features a mix of prominent, emerging and beginning writers. Its aim is to highlight various forms of writing in an effort to spotlight the diverse literary community that lives in the Bay Area. Every third Wednesday of the month at Pegasus Books Downtown.